Vitex trees handle the lower desert weather very well as long as they are given adequate water. They are generally a small tree but can grow up to 25 feet tall in hot climates. Vitex trees are decidious. They bloom continously during the summer but the most impressive blooms are in late spring and early fall. Vitex trees are not recommended near pools because the are constantly dropping beebee like seeds and will lose all of their leaves in the fall. 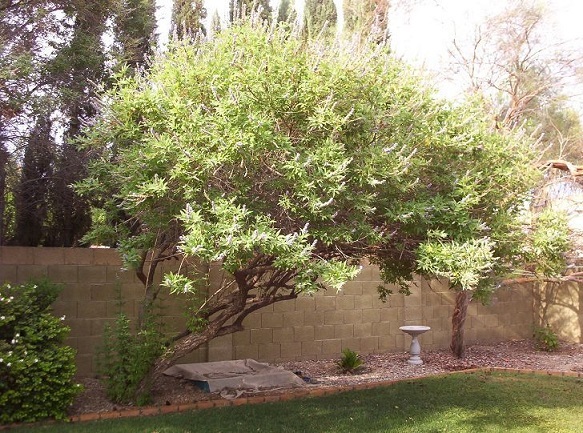 Keeping a vitex tree in a shade tree form, as seen in the photo, requires pruning them once or twice a year. The flowers of this tree are attractive to humming birds and bees. 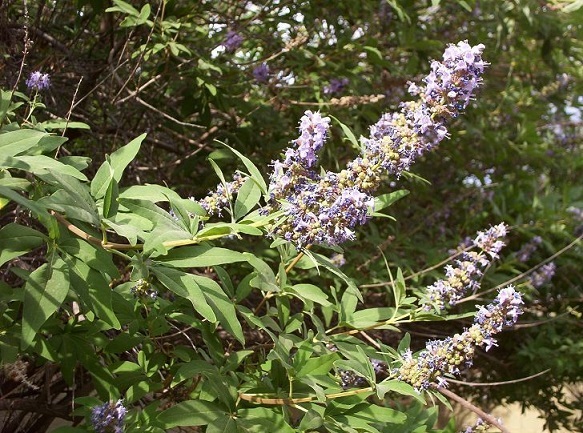 Vitex leaves have a pungent sage like odor.